Legendary SM microphones have come to define the sound of live performance. Recognizable by name and reputation, SM microphones are virtually indestructible professional gear, built to take the punishment of night-after-night touring. Durable and reliable, SM microphones deliver consistent vocal and instrument reproduction in any performance setting. 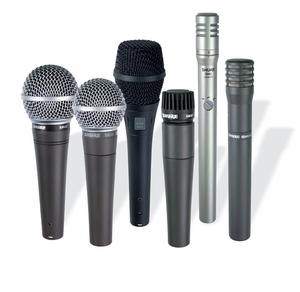 Performance tested, industry-standard microphones for daily club use and touring.